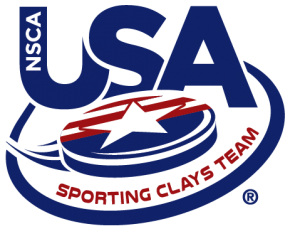 Anyone who has earned USA Sporting Clays Team points during the 2017 shoot year will be listed on the 2017 USA Sporting Clays Team points race (team for the 2018 Shoot Year). The current points race is for the 2019 team. Tot WC Pts – This represents the total number of World Cup points accumulated. USA Sporting Clays Team points races are based on the World Cup points system, which is a shooter’s score divided by the HOA score within their concurrent category. Example: If your score is 178 and the HOA score within your concurrent category is 197, you would earn 0.90355 World Cup points. Top 4 – This represents the shooter’s top four selection shoots, one of which must be the U.S. Open or National Championship. Eligible – To qualify for the USA Sporting Clays Team, a shooter must participate in the U.S. Open or the National Sporting Clays Championship. If the shooter has not participated in one of these events, he or she will be shown as not eligible. NOTE: Although the NSCA does not have a “Senior” age concurrent, it is provided here for comparison purposes to the USA FITASC Senior Points Race. ‘Top 4 WC Pts’ will include at least one of either the US Open or National Sporting Clays Championship points regardless of the points earned at the shoot.